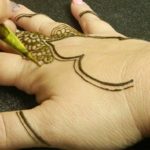 Applying henna is easy, but it does take some practice to get good at doing clean neat henna designs. 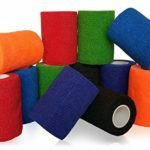 Gather supplies (henna paste in your chosen applicator, paper towels, and whatever else you like to have while you henna. Wash the skin to be hennaed well. Do not use soap with lotion. Clean dry skin takes henna best. Squeeze out a bit of henna that may have been exposed to air or separated. 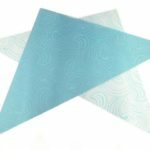 Apply henna directly to the skin, either from a henna cone or an applicator bottle. 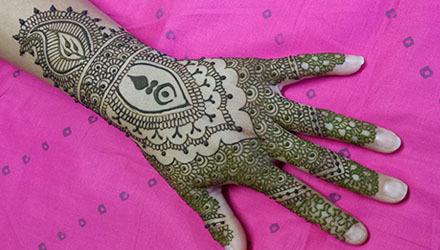 You can either “drape” the henna over the skin or lightly touch the skin. do whatever works best for you. 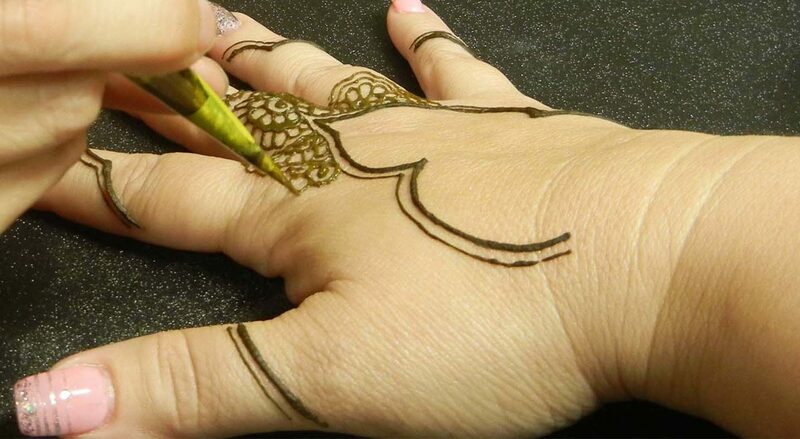 OPTIONAL: Allow henna to dry for about 15-20 minutes and apply a henna sealer. 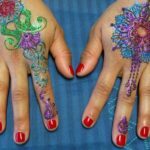 Allow henna to stay on the skin for as long as possible. Shoot for keeping the henna paste on for 4 hours or more. 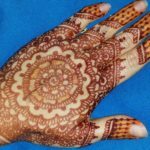 The longer the henna is left of the skin, the more layers of skin cells are stained, leading to a richer longer-lasting henna stain. Remove henna paste by gently scraping of picking it off. DO NOT USE WATER to remove henna paste. Avoid water for the rest of the day. The henna stain will start off orange and will darken to a red/brown color over the next few days. You don’t have to do anything special to make this happen. 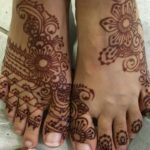 It’s naturally part of the wonder that is henna! 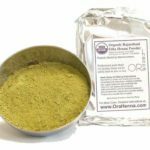 Generally you can expect good color for 5-10 days and the henna stain will exfoliate away completely in 1-3 weeks.